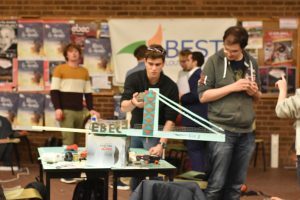 On the 10th of November 2018 we organized the second round of the EBEC Challenge Preliminaries. This second round gathered 15 teams of students all motivated to reach the top of the podium. 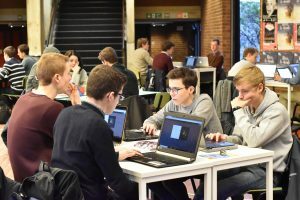 But this would not have been possible without our partners which are Odoo for the Case Study, CSTC for the Team Design and Brico and Westmalle for the logistical support. Thanks to them we collected 2000€ of price for the winners. Well the first part of the day was the Case Study. Odoo exposed a challenge to the student and they had to work on it. The challenge was to implement a new app according to actual demand. They had to think abut every details in their app. So they worked about 3-4 hours on this problem and after that they had to present their solution in front of the jury (Our partners and some teachers of our university). The second part of the day was the Team Design. This one was supported by CSTC and they propose to the students to make a bridge. This concept is pretty easy BUT the bridge had to only be fixed to only one side! They also had 3-4 hours to make the crazy machine and at the end the jury went to each group to watch the solution in action. 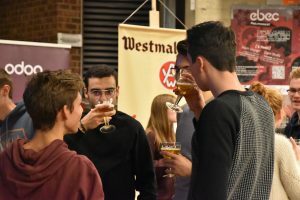 At the end of the day a Westmalle-drink was offered to everybody to close this awesome day. Every participants left this event with new experiences and new skills.